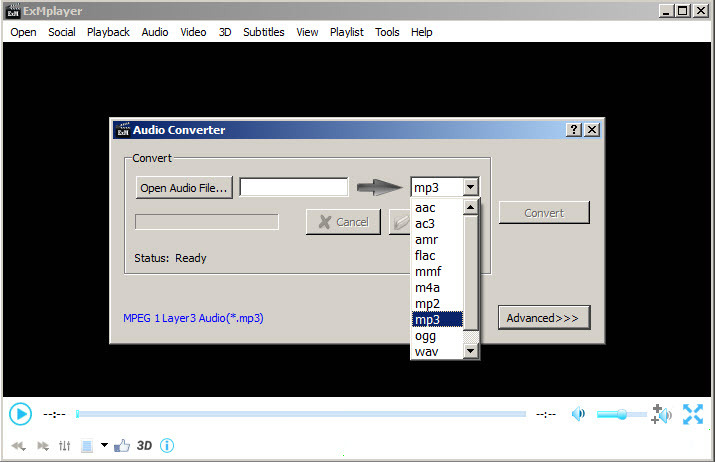 ExMplayer is a video player with additional features such as audio extractor and converter. The program supports drag&drop to start playing video or audio files quickly. It supports full screen and different aspect ratios, you can add subtitles or search on the internet through its interface, view 3D movies, adjust audio level and video settings through an equalizer. The program comes with advanced features to convert audio files from one format to another (many file types are supported), extract audio from a video (as .wav) or video cutter. Other features include keyboard shortcuts and network streaming. Pro: It includes audio extractor and converter. Cons: In full screen, if you press the Escape key, the player will close completely instead changing its size to a smaller one. Also, if you play Stop instead Pause, the player will change its size automatically. Conclusion: The program is a good video player which includes an audio extractor and converter, if the mentioned usability issues.will be corrected, will be a great player. ExMplayer is available as free download for Windows 32-bit and 64-bit. ExMplayer is 100% clean and safe to install. You can see the test results here.